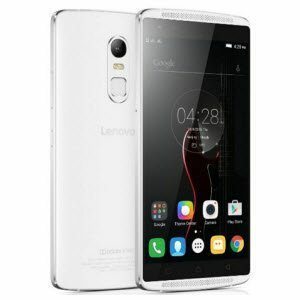 Amazon is offering Lenovo VIBE X3 3 GB RAM | 32 GB ROM Rs.19999 only. For a true on-the-go immersive HD listening experience, plug headphones into the Vibe X3. Featuring industry-leading components, such as the highest-performing 32-bit audio digital/analogue converter and the first 3-chip amplifier, Lenovo Sound fine tunes and optimizes any audio format. The result? Enhanced sound with minimal distortion. Enjoy lifelike surround sound with the Lenovo Vibe X3 smartphone and Dolby Atmos®. Two 1.5 W, large-chamber (1 cc) front-facing speakers deliver rich, clear, and powerful audio that will appear to flow from all directions – even overhead. The Vibe X3’s 3-mic system integrates perfectly with advanced Wolfson® audio technology to filter out ambient noise. As a result, everything from video chats to voice recordings (and even online karaoke) sound better than ever. The Vibe X3’s eye-catching 5.5″ Full HD display brings videos, photos, games, and apps to life with enhanced screen color optimization technology. What’s more, in-plane switching (IPS) gives you nearly 178° of wide-angle viewing – perfect for when sharing great moments with friends. Able to capture 4K Ultra HD video, the 21 MP PDAF rear camera has the power and pro-style features for you to shoot stunning videos and photos. What’s more, the 8MP fixed-focus front camera helps to take your selfies to another level. With its advanced features and power-efficient design, the Vibe X3 is more than just lightning fast. Powered by a 64-bit Qualcomm® Snapdragon™ 808 processor and backed by 3 GB of RAM, it gives you seamless multitasking, ultra-smooth video/multimedia, and responsive, action-packed 3D gaming. The Vibe X3 comes with 32 GB of storage space. Just in case that’s not enough for all your music, photos, games, and videos, you can expand it by up to a further 128 GB with a microSD card. The built-in fingerprint reader adds a much-needed layer of protection. As it can help to prevent unwanted access to your Vibe X3 and personal data. Two phone numbers in one smartphone is great whether you’re separating business and pleasure, travelling to a different country, or simply want to take advantage of different service providers to save money. With a host of new features, including a visual overhaul and under-the-hood improvements, Android™ 5.1 is faster, more efficient, and easier on your battery than previous Android OS versions. It also works perfectly with all your favorite Google apps. The Vibe X3’s preloaded apps can make light work of sharing, backing up, and syncing your digital life. For instance, SHAREit with CLONEit lets you share files rapidly and wirelessly across devices without network charges – or even a WiFi connection. And with SYNCit, you can quickly back up and restore contacts, SMS messages, and call logs. In addition to supporting LTE (4G) networks and Bluetooth® 4.1 LE, the Vibe X3 offers download speeds of up to 300 Mbps – for a faster, smoother online web experience.